On almost any given day, if you ask my husband what kind of cookies I should bake, it will be a cake cookie. He absolutely loves a soft, chewy cookie versus a crunchy one and will always try to steer me in that direction. But sometimes I just feel like trying something new. I don’t discriminate when it comes to cookies. As long as they are good, I love them. 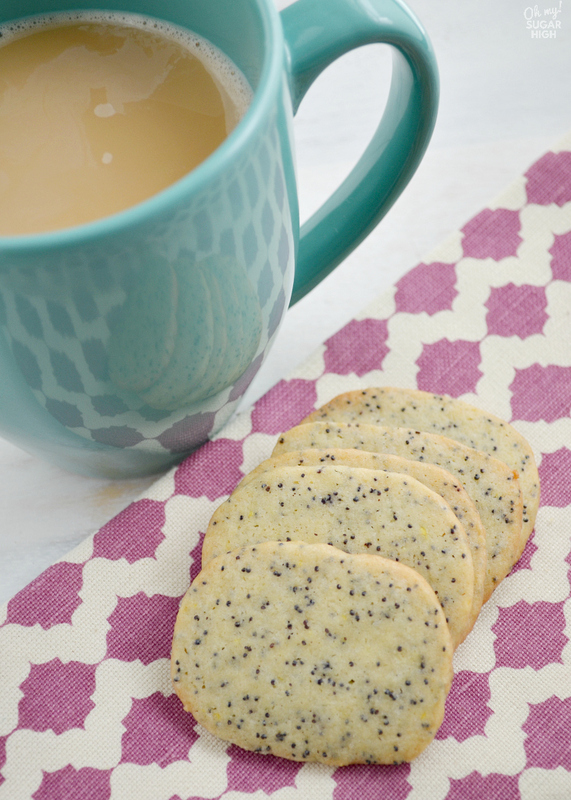 Last week I’m so glad that I didn’t ask him because I found these awesome slice and bake lemon poppy seed cookies. While they do take a bit of planning because of the chill time, they are definitely worth the wait. And since you just need to slice them, they are super simple to bake up. 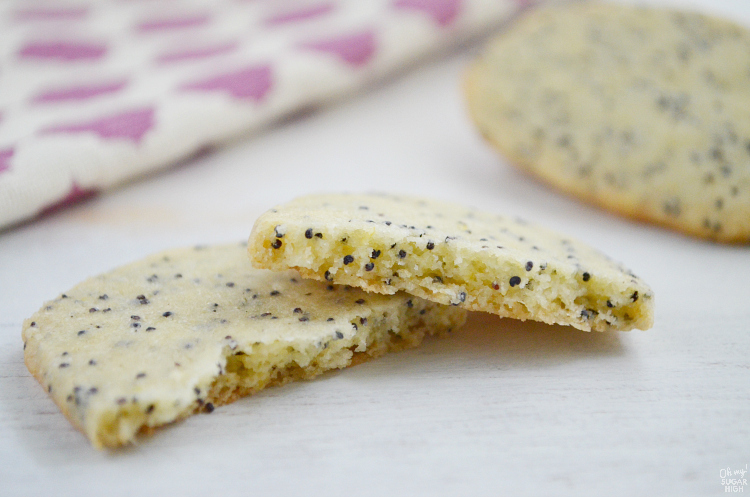 I made several changes to the recipe and love how they turned out! 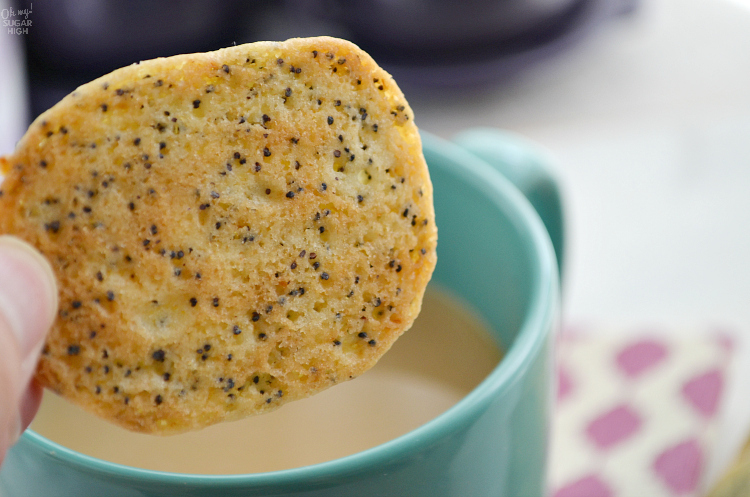 If you like a cooking that is slightly crunchy around the edges and perfect for dunking in your coffee or tea, this cookie is for you. I baked these for two different lengths of time. The first I baked for almost 9 minutes and got a nice and chewy cookie. The second I baked for almost 11 minutes and got a cookie that was soft in the middle but had a slight crunch around the edges. It also had a beautifully golden bottom. 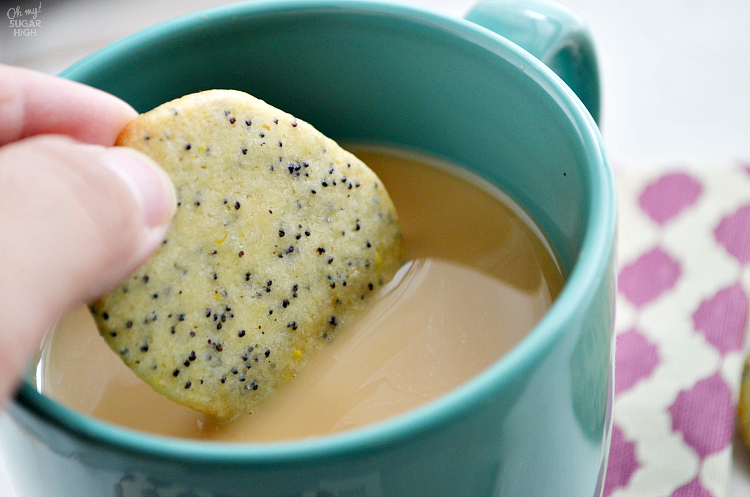 The crunchier cookie worked better with dunking but both tasted great. Exact baking time and thickness of your slices will really depend upon your personal preference. The thickness isn’t a big deal as long as you are consistent. Either way, this cookie is awesome. I ended up baking one of the cookie rolls the same day and the other I froze for a few days and baked up when my family begged for more. I couldn’t tell a difference. This is a great cookie for making ahead of time. In a large bowl, cream butter and sugar for two minutes or until fluffy. Beat in egg, milk, lemon juice, zest and extract. In separate bowl, stir together flour, baking soda and salt. Gradually add to butter mixture and mix well. Cool a minute before removing to wire racks. Cool completely. In the end, my family couldn’t keep their hands off these cookies. My husband raved about them, even to people he works with. He tried to convince me to make more so he could take them to work. He found these cookies to be a nice change of pace and very refreshing. 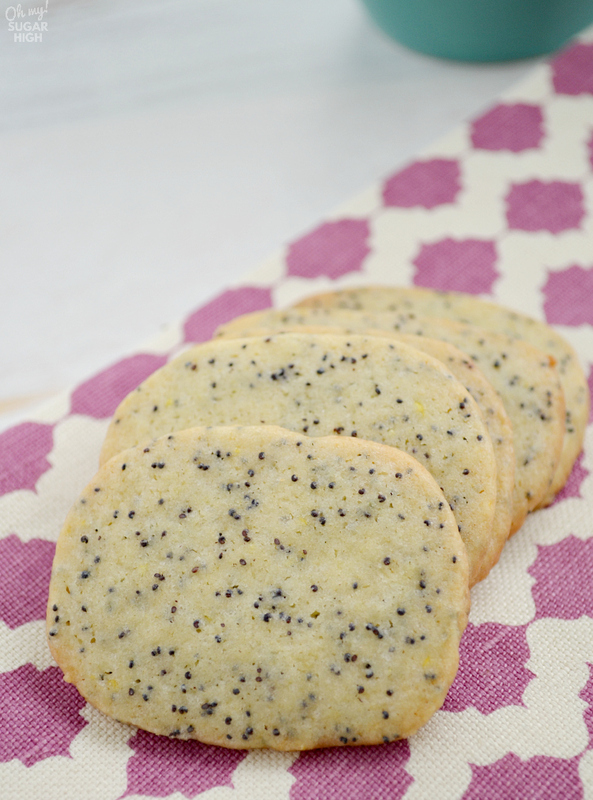 If you love lemon cookies, be sure to check out this lemon drop cookie recipe. This recipe was inspired by Taste of Home.